Hebden Bridge History Society meeting report. The name Elmet has strong poetic resonances, but Dave Weldrake, archaeologist and heritage educator prefers to take a strictly archaeological approach. In his talk to Hebden Bridge Local History Society he used the evidence from place names and archaeology to illuminate this lost kingdom of the Celtic twilight. Evidence from the time after the Romans left Britain is rather sketchy, but the existence of a British Kingdom stretching from the Wharfe to the Don and from the Pennines range in the east to an area in the west where places such as Barwick and Sherburn still have – in Elmet as part of their names. Kingdoms of the north such as Craven and Elmet survived until the invasion of the Northumbrians in the early seventh century. 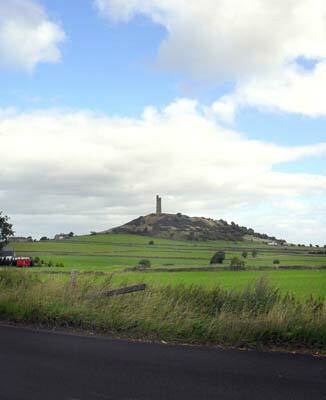 References in the writing of Bede send archaeologists looking for a monastery in the forest of Elmet, which Dave Weldrake believes was probably at Eccleshill. Eccles in a Saxon word for Church, and lies in the middle of a host of places with names ending in ley, such as Keighley, Shipley, Ilkley and Headingley. 'Ley' signifies a woodland clearing. Archaeologists are hopeful that modern scientific advances might shed more light on this lost Kingdom, and the secrets hinted at by place names that have survived over the centuries.